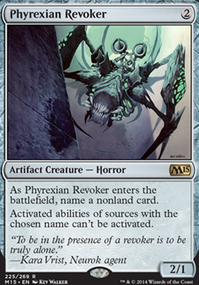 Note that your opponent will try to kill these as soon as possible, because they can be powerful otherwise! No need to play these kinds of effects either if you don't want to, many decks are fine and still powerful without them. 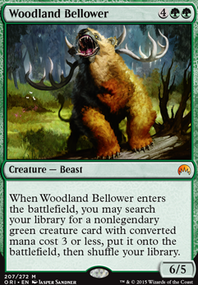 If you do use tutors that specifically find creatures though, I recommend playing A couple of creatures with spell-like abilities so you can get them when you need to. For example Ravenous Chupacabra acts as a removal spell. Really cool deck! 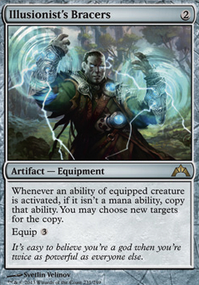 I'm glad you built a version for us mortals who have to play edh on a budget. 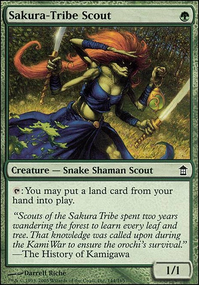 I've been playing a proxy version of the budget deck with my friends for a few days (I like to get a feel for how a deck plays before I buy it) and I have some feedback to share. The main problem I've run into is I can make a ton of mana, but don't have anything to do with it. 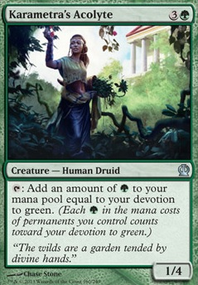 Maybe I've been keeping hands that should be mulligans because all they do is make a lot of mana, but I think the deck is struggling from having a few less tutors than the non budget version (obviously since tutors can be expensive). 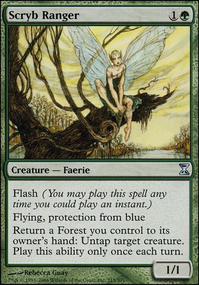 Elvish Harbinger is kinda weird and definitely slow but does the job of getting Priest of Titania or Elvish Archdruid if you need mana or Fierce Empath or Fauna Shaman for more tutoring or even something like Reclamation Sage if you really need it. 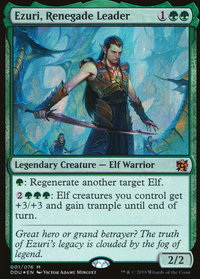 It's also an elf for all the elf synergies. Time of Need is definitely niche but can get Marwyn, the Nurturer or Yisan, the Wanderer Bard in a pinch. 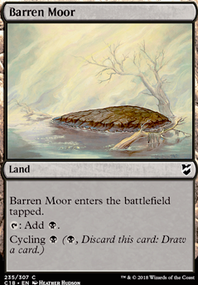 On the other hand, maybe it's worth considering playing some regular old card draw to replace the lost tutors. 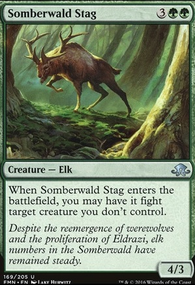 Guardian Project is a strictly worse Beast Whisperer (not an elf) but is a consideration for the budget build. Also, how do you feel about Quest for Renewal ? 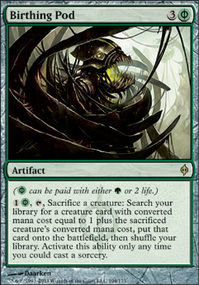 It's definitely slow, but might be worth it in a budget deck like this which isn't trying to be as fast as possible. Finally, I found that Scryb Ranger really underperforms. 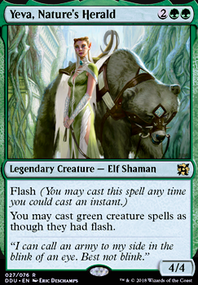 Being two more mana than Quirion Ranger and not an elf really hurts, and I'm not sure if you need two copies of the effect in the deck anyway. 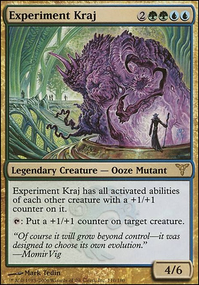 I've been destroying with the deck (my playgroup is seriously about edh, but I wouldn't consider it cutthroat competitive) and find it super fun to play. 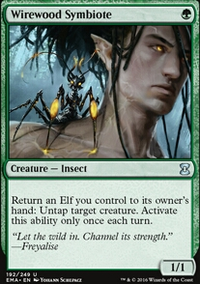 Ambush Viper , Lay of the Land , Boundless Realms , Tower Defense , Mortal's Resolve , Fog , Burst of Strength , Panharmonicon , Lure , Verdant Haven , Sandwurm Convergence , Shapers' Sanctuary , Shapers' Sanctuary , Greenseeker , Kalonian Tusker , Oak Street Innkeeper , Duskdale Wurm , Elvish Aberration , Borderland Ranger , Civic Wayfinder , and Centaur's Herald . These should all round out the deck! 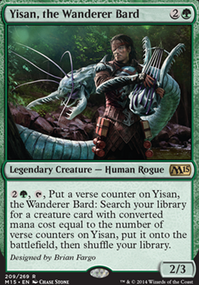 Many are creatures that can be flashed in with big effect, like Yisan, the Wanderer Bard / End-Raze Forerunners / Rampaging Baloths / Regal Force , etc. or are card draw/removal to keep you in the game when an opponent 'goes off'. 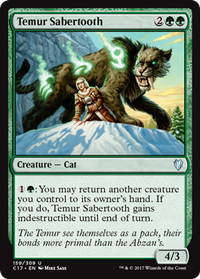 Often if green gets board wiped they hurt, and while Heroic Intervention helps out, Temur Sabertooth too, sometimes just rebuilding is the answer. 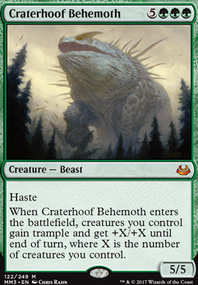 Think of the value of in response to a Wrath of God you flash in a Regal Force , draw 7 cards, then on your next turn empty your hand of new creatures to win with! I chose relatively cheap cards for this list, hoping you don't have to spend to much!